Is there still a gender pay differential in banking? Of course there is. The question is 'How bad is it?'. Having analysed over 4,000 salaries and bonuses in Investment Banking & Markets, we came across some shocking truths, and some myth-busting facts. 1. From the very outset of their career, women are paid less than men with a 10-16% gap even at analyst and associate level. As expected, the gap widens with seniority: the widest is at Vice President (VP) level (VPs are generally 27-32 years old), when it reaches as staggering 27%. And that happens to be the age generally associated with childbearing. 3. 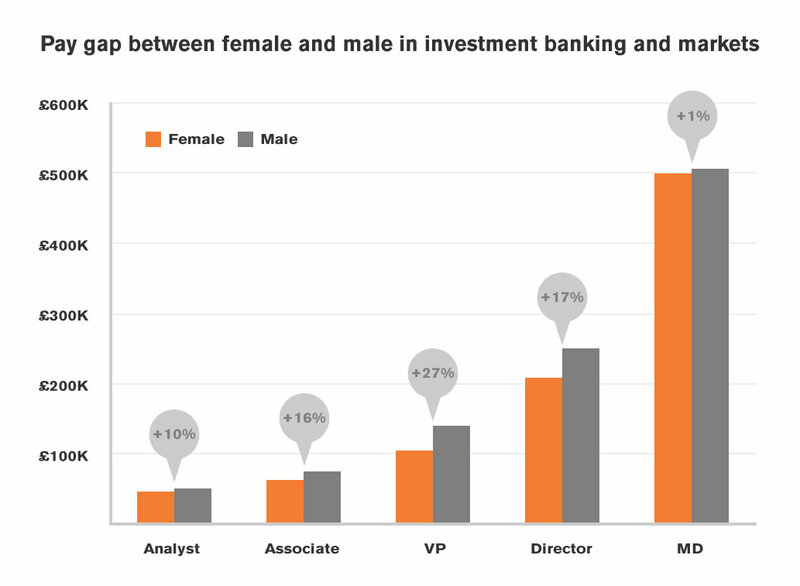 There are VERY few women in banking: male/female ratio rises from around 5:1 at the lower levels (Analyst, Associate and VP) to a paltry 17:1 at MD level.